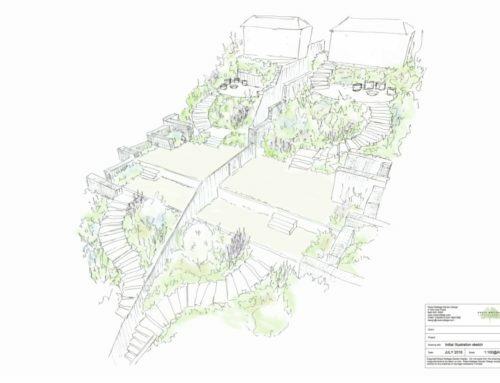 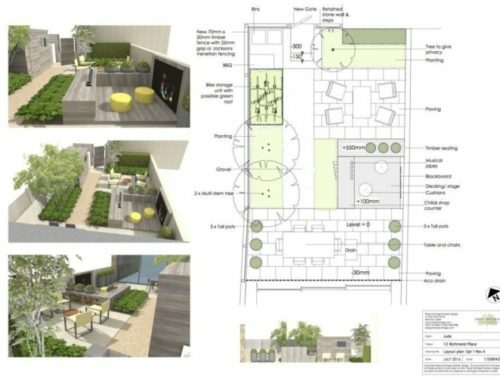 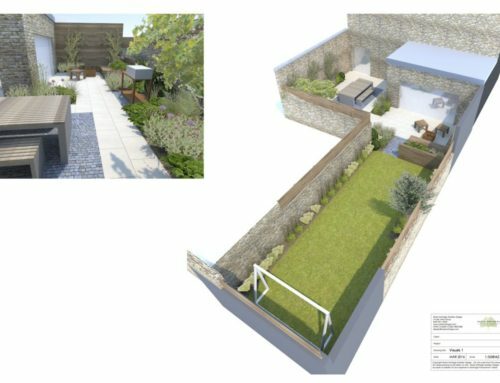 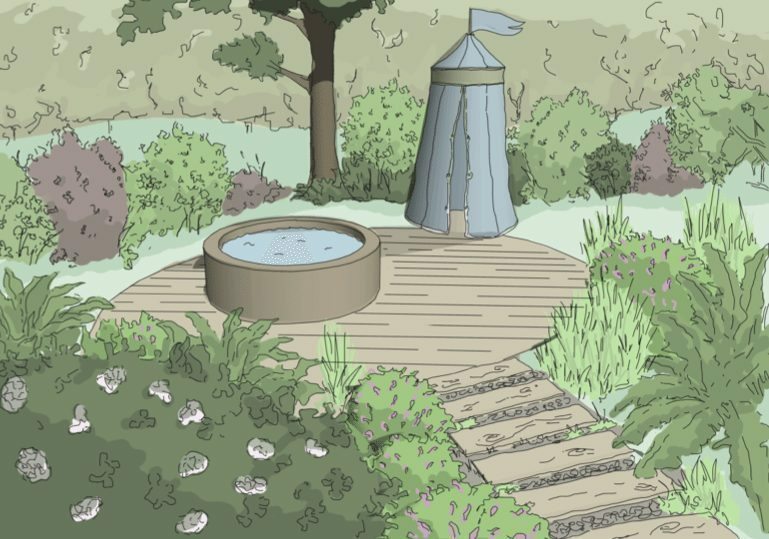 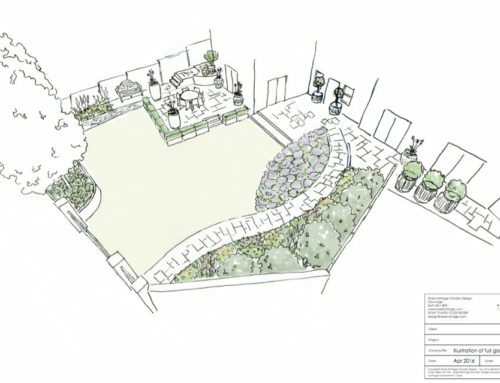 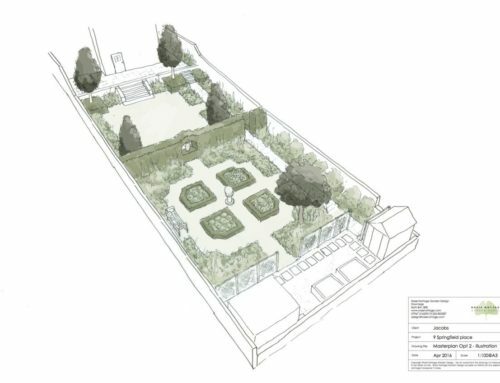 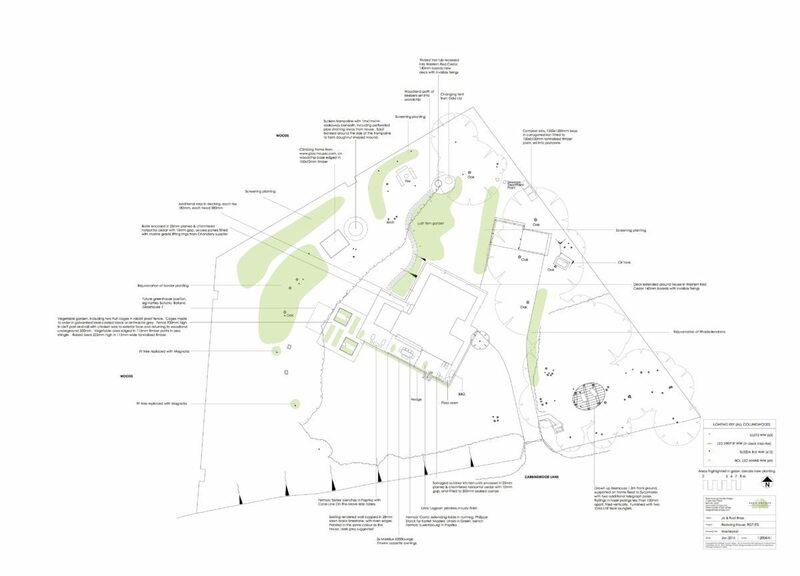 My clients were renovating their home and keen to create a secluded woodland garden which would provide plenty of space for relaxing, entertaining and for the kids to be free. 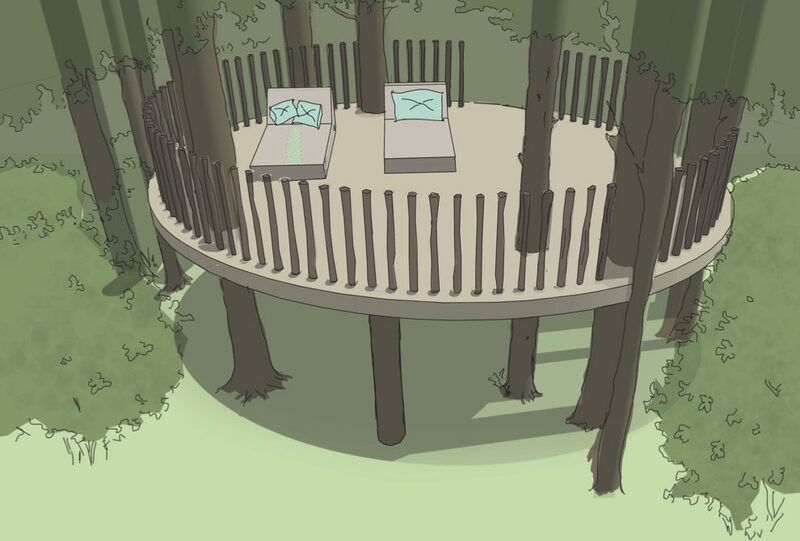 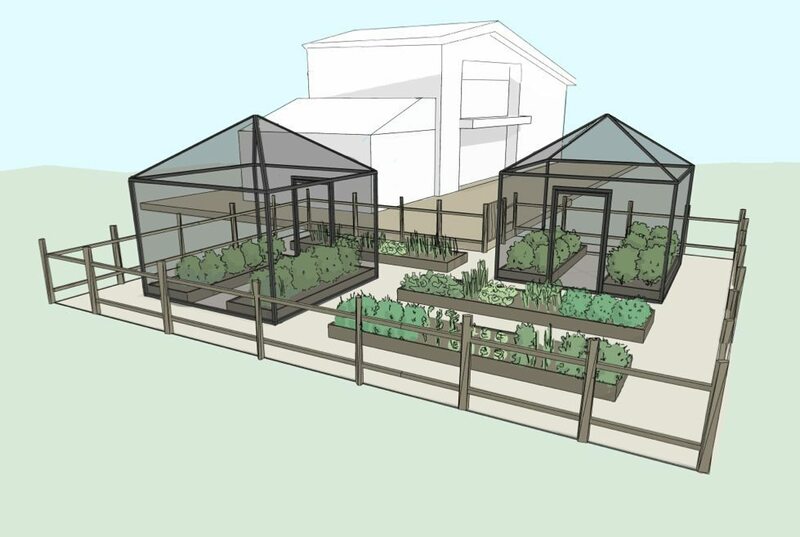 We designed a wooden hot tub looking up into the branches of an oak tree, a kitchen garden with a bespoke fruit cage system and a grown up tree house for adults to retreat into with a G&T to watch the sunset. 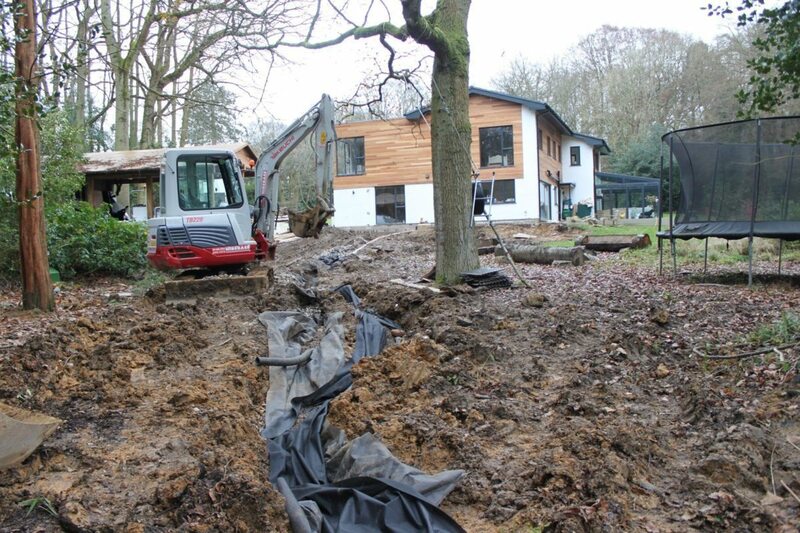 This project is midway through construction.